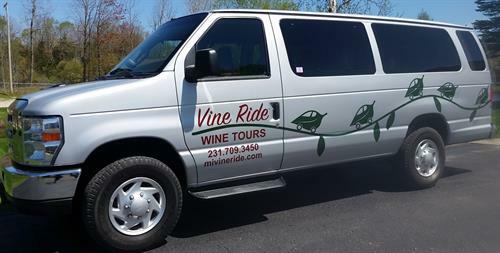 Owned and operated by Petoskey locals, Vine Ride specializes in small group, half-day tours of Petoskey area wineries. We adore our community and love to show off its growing wine industry to visitors and residents alike! 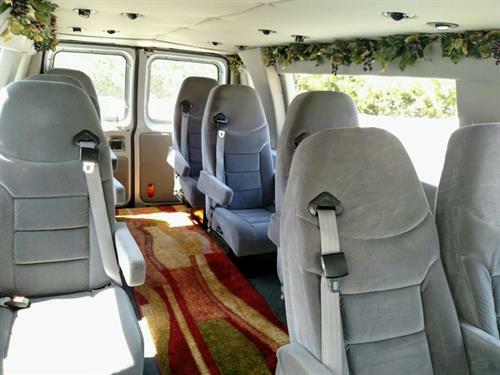 Guests may reserve a handful of seats alongside others in our stylish 9-passenger van, or book the whole van for a private group experience. We’ll chauffeur you to several local wineries to taste wines unique to our region. Here vintners blend cold-hardy grapes with classic European varieties, yielding truly distinct flavors only northern climates can produce. All Vine Ride wine tours include pick-up and drop-off at your Petoskey area lodging, visits to several wineries, complimentary snacks and more! Vine Ride is fully licensed and insured.